KATV/Channel 7/Little Rock has named the host of its new afternoon news program. 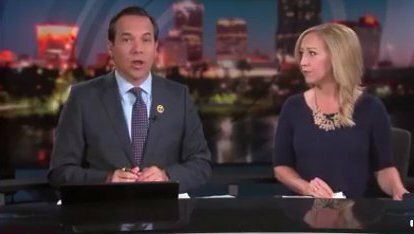 Arkansas Online reports longtime KATV meteorologist Barry Brandt and reporter Elicia Dover will be anchoring Good Afternoon Arkansas. The new program will air from 3pm beginning September 5th. 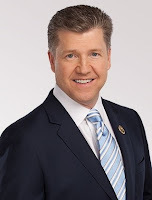 KTHV/Channel 11/Little Rock is losing its sports anchor. Arkansas Online reports Mary Dunleavy is leaving the station after only 3 years. 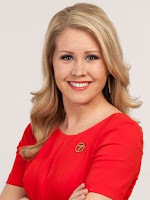 Dunleavy tweeted she is leaving for WRAL-TV/Raleigh, N.C.
KTHV recently brought on board Taylor McGregor earlier this month to anchor sports. Sinclair VP of news Scott Livingston is fighting criticism of his organization’s position on must-run segments, morale in the newsrooms. TV Spy reports Livingston is wanting to fight of "myths" that has been reported in the national media. Livingston argues in the memo that while it’s true Sinclair issues “must run” content, media reports which say they are of “poor quality” and “politically tilted” are not true, and that “must runs” amount to less than one hour per week, on average, of Sinclair stations coverage, compared to more than 35 hours of local news. Plus, he argued that such commentary provides a different viewpoint not usually found in the national media. Livingston also specifically called out The Washington Post for reporting on falling morale at the WJLA station in Washington, writing that the Post “largely ignor[ed]” information about investments, awards and ratings growth at the station while assembling “fear-mongering reports.” WJLA was sold to Sinclair in 2014 by the Allbritton family, which owns POLITICO. Livingston suggest outlets doing stories on Sinclair are "Left Leaning". Two Northeast Arkansas TV stations are launching a weeknight newscast. Arkansas Online reports Jonesboro's newest FOX and CBS affiliates will beging the newcast next week. KNJB/FOX 39 is the primary channel while CBS 39 is the secondary digital channel. The newscast's anchor team is set to Sarah Blakely an alumna of Purdue University's Brian Lamb School of Communication. “Northeast Arkansas News will offer Jonesboro and the surrounding area a compelling brand of news that will give a new voice of local events and happenings,” said veteran journalist Lon Tegals, who is leading the launch. 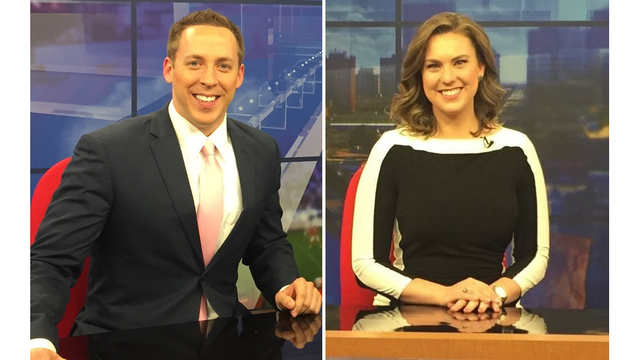 KARK/Chanel 4/Little Rock has hired Tyler Thomason and Rebecca Jeffrey to join its news team. A KARK news release states the pair are husband and wife and come from KMID-TV and KPEJ-TV in Midland, Texas. Both have ties to Arkansas. Thomason has previously worked at KNWA in Northwest Arkansas where he met Jeffery. "Rebecca and I are ecstatic about this opportunity and cannot wait to get started," added Thomason. "She may be a Texas girl, but she already knows how to call the Hogs! I'm thrilled that we will be able to work together with so many friends and family members nearby." The pair will begin on air in August. A new studio news set is on the way for KARK/Channel 4/Little Rock. 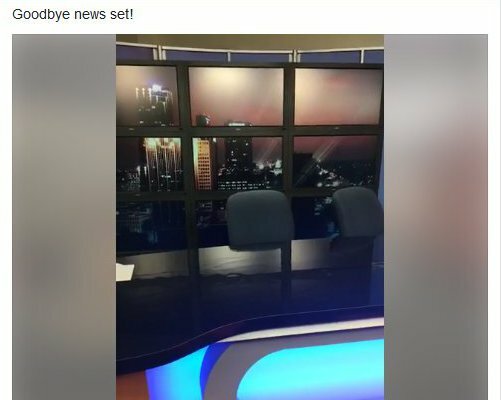 In a facebook video, the station documented the demolition of the old news set which had been in place for 8 years. Crews began the destruction following last night's 10pm newscast. In the meantime, all newscasts will be utilizing a temporary set. A picture of the temp set is below. Dialing for Dollars a 50 year Arkansas tradition on KARK/Channel 4/Little Rock is getting a makeover. 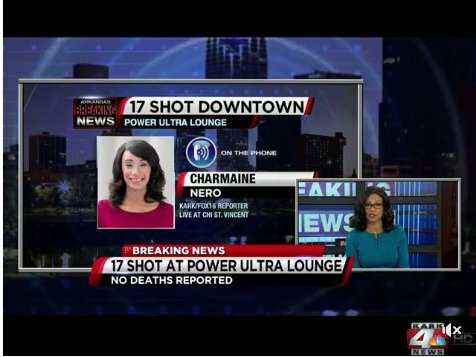 Arkansas Online reports the popular segment during the news news on KARK is going on hiatus for 3 weeks for a state of the art studio remodel and will return July 31st. KARK news director Austin Kellerman says the Dialing for Dollars will return with a game show style contest. Dialing for Dollars has been airing on KARK since the 1960's.